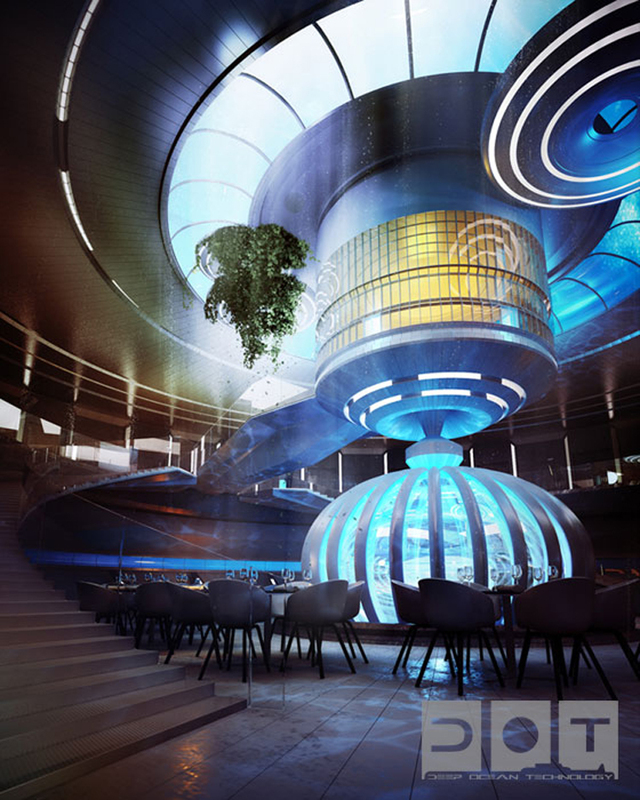 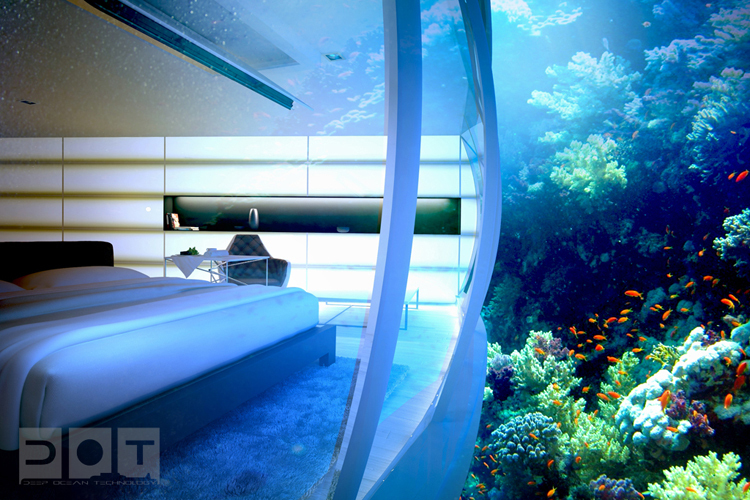 Water Discus Underwater Hotels is a concept project developed by Deep Ocean Technology. 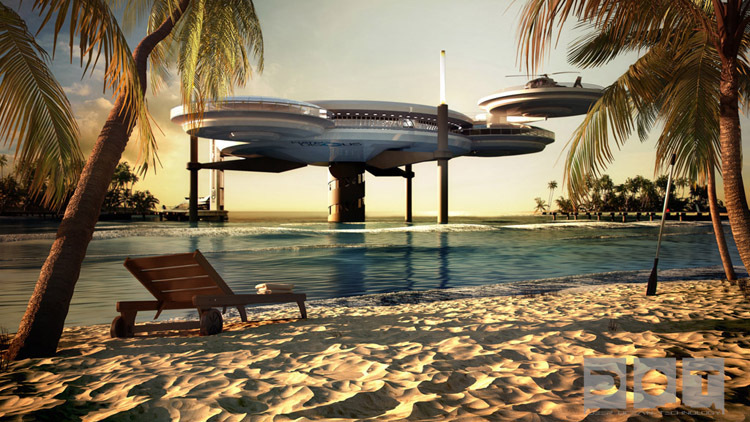 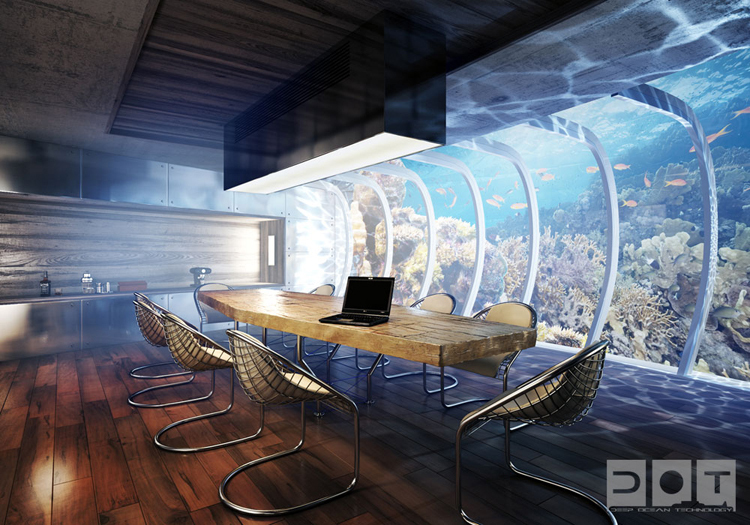 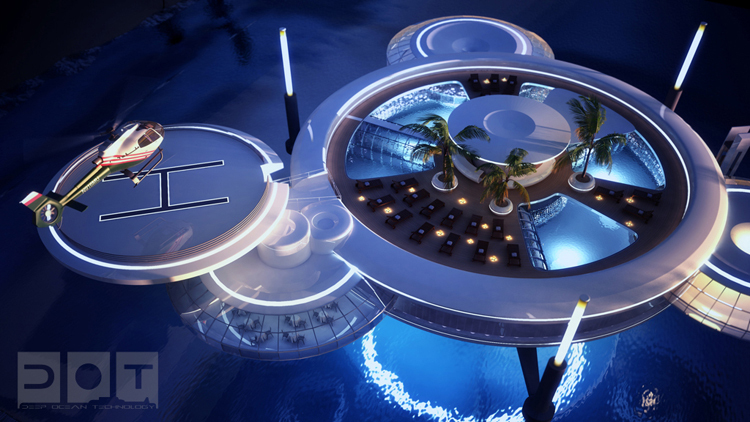 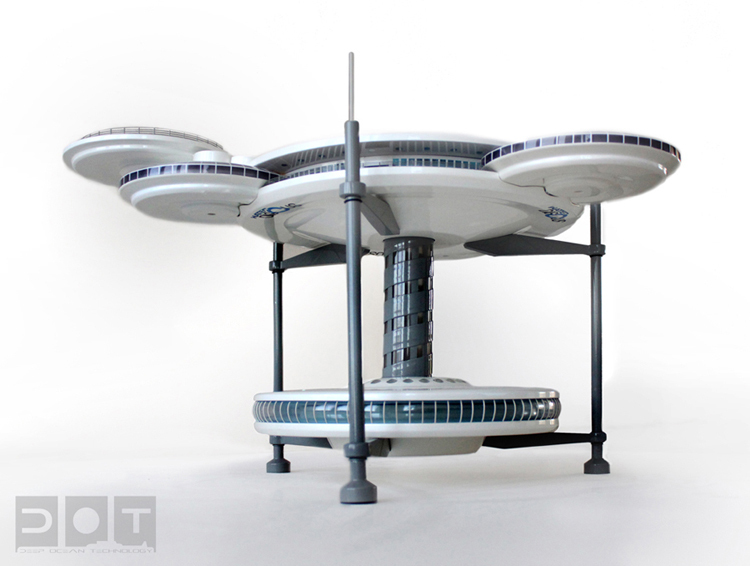 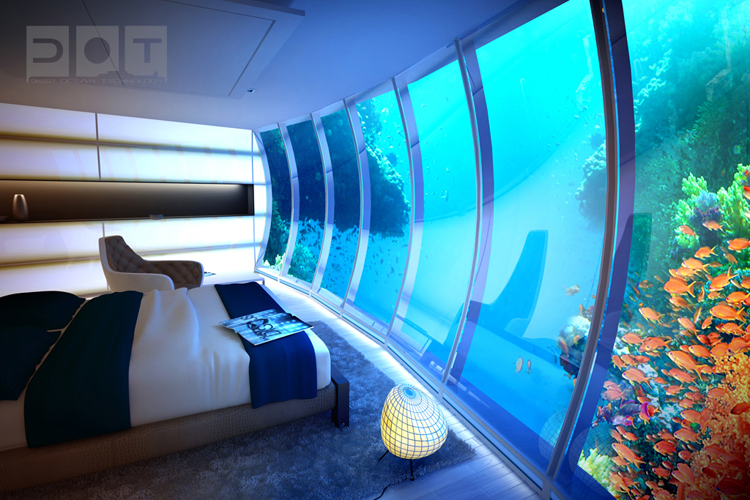 The hotel will be made of two discs — a common area above water and the suites underwater. 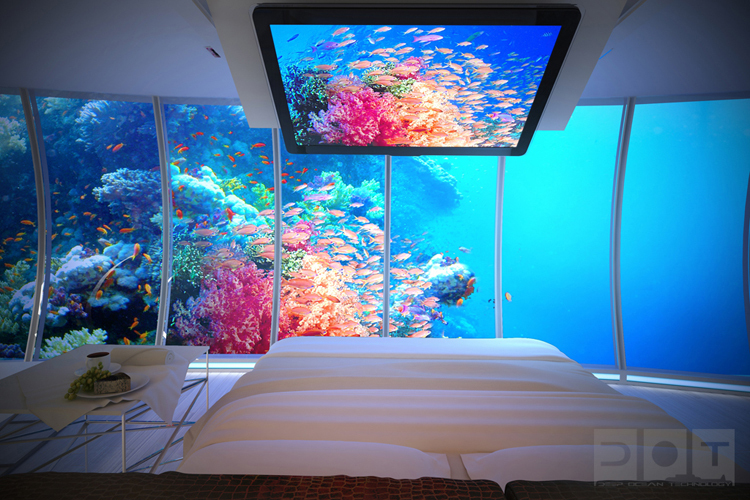 To get down to the 21 suites, which are 10m deep, you’ll need to take an elevator or the stairs.